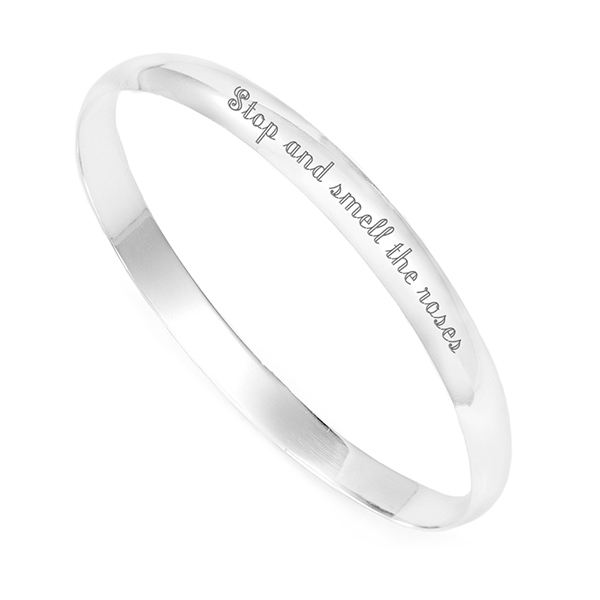 This beautiful sterling personalized bangle can be engraved with a special message. 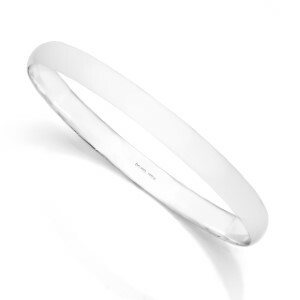 Please remember this bracelet is 925 sterling silver and can only be engraved using a more elegant traditional etched engraving. The engraving is not filled with black paint. Inside diameter is 60mm.